It’s always nice to see your name in a new publication, and doubly so when it’s the magazine’s very first issue, so imagine my pleasure when Future Publishing’s Create Magazine hit shelves this week and brought my feature on building your own Linux PC along for the ride. Presently exclusive to North America, Create – styled [email protected] – is billed as offering “adventures in technology” to a mixed audience ranging from those with considerable technical proficiency to relative newcomers. This broad focus can be seen in the content on offer from the launch issue: my relatively technical guide to building a desktop PC from parts sits alongside tutorials on installing Minecraft on an old Apple MacBook and booting up a Raspberry Pi for the first time, along with building your own drone and seeing how camera lenses are made. The PC-building feature itself was originally written for Imagine Publishing’s Linux User & Developer Magazine and first appeared in Issue 161, alongside my detailed reviews of a number of Steam Machine PCs and my four-page news spread. 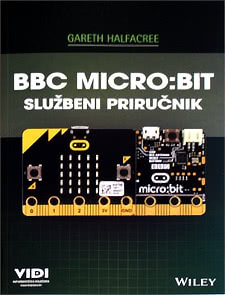 Written in partnership with Overclockers UK, which kindly provided the parts required for the build, the guide walks the reader through choosing components with an eye on price, performance, and compatibility with the Linux kernel – the latter being a key point that can be overlooked by system builders more used to building Windows-based machines – before putting everything together in an attractive case and installing the operating system. Those who missed the feature the first time around and are located in North America will find Create Issue 1 on shop shelves now, while international readers can purchase a copy from Future’s web store. Writing a book on a technical topic is like trying to nail fog. The more popular a topic is the faster it moves and the thinner the fog gets. Nowhere is this more true than the Raspberry Pi, which this month celebrated shipping its ten millionth single-board computer to makers, educators, hackers, tinkerers, and curious types worldwide. 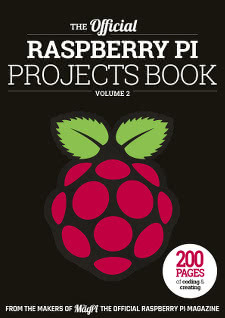 Accordingly, The Raspberry Pi User Guide was in need of an overhaul – and an overhaul it has indeed received. 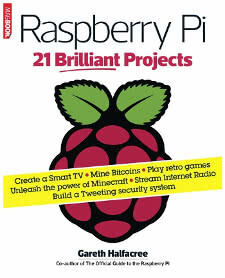 The fourth edition of my best-selling guide to all things Pi now includes coverage of the Raspberry Pi 3 with its Bluetooth and Wi-Fi radios, an entire chapter on choosing and using add-ons including the official Raspberry Pi Touchscreen, Sense HAT, and Wi-Fi adapter, a completely rewritten guide to Raspbian which covers the latest changes to the distribution, and a shift in other chapters to cover more popular software including LibreOffice – now a default install option – and the OSMC media software. Elsewhere, you’ll find things tweaked, polished, and brought bang-up-to-date. 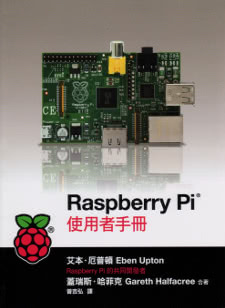 The networking instructions now cover the use of the DHCP configuration file for setting a static IP address, the GPIO chapter is refreshed, and you’ll even find instructions for correctly soldering GPIO headers onto the ultra-low-cost Raspberry Pi Zero. 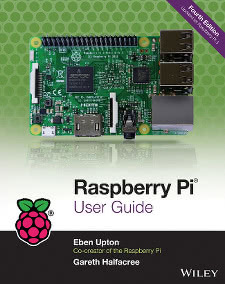 For UK readers, The Raspberry Pi User Guide Fourth Edition is available to purchase now from Amazon; for international readers, check with your local booksellers or find links to other outlets via the official Wiley book listing. My regular Hobby Tech column celebrates its third year this month, and I’d like to think it does so in style. As well as a two-page review of the Raspberry Pi 3, the column details how to build a Raspberry Pi Zero-based energy usage graph into a cheap box frame and interviews Raspberry Pi Foundation director of hardware James Adams about his designs and inspiration. 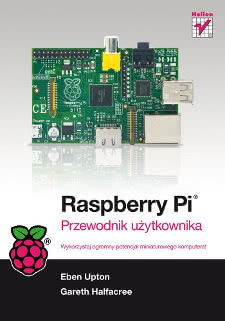 First, the Pi 3. 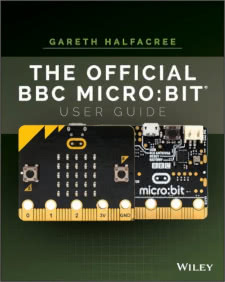 I’ve previously written about the board in a cover feature for The MagPi and in Linux User & Developer, so there should be no major surprises in this review – beyond a focus more on the hobbyist community’s desires and concerns, given the title of the column. 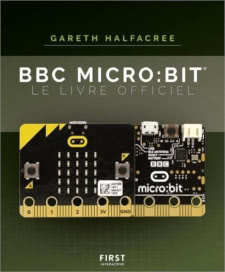 The interview, though, is all-new: a small, separate extract of my interview was published in The MagPi’s Raspberry Pi 3 launch issue, but the material used in Hobby Tech is fresh – including detailed information on just how that Wi-Fi and Bluetooth radio module talks to the new BCM2837 SoC and the challenges of conformance testing something that has an intentional radio emitter inside. The build was a project I worked on after picking up a cheap electricity and gas monitor for my house. While the website works well for viewing live usage and historical graphs, I wanted something that wouldn’t look out of place in the living room and hopefully remind everyone to turn things off when they leave! A cheap Raspberry Pi Zero was the perfect platform, and combine with a Pimoroni Unicorn HAT fits snugly in the back of a wooden box frame. Some paper on the front diffuses the LEDs to prevent glare and make it look less like a hack and more like a piece of furniture – though with the consequence that the photos look a little washed out compared to the bright, colourful display in the flesh – and everything else is a software concern. All this, and interesting things written by people who aren’t me, is available from your local supermarket, newsagent, or electronically via Zinio and similar services. This month’s instalment of The MagPi, the official magazine of the Raspberry Pi Foundation, includes a short project I created upon request from editor Russell Barnes: soldering a reset switch to a Raspberry Pi Zero. While part of a feature on projects specifically for the Zero, the reset switch mod is actually applicable to any modern Raspberry Pi. It makes use of the RUN header, which when shorted out causes the processor on the Pi to act as though the power has been briefly cut. The result: an instant hard reboot, even if you’ve found a way to crash the system hard. The header also doubles as a remote power switch: if the Pi is powered off but plugged into a live power supply, shorting the RUN header will begin the boot process. Attaching a switch to the reset header is as simple as soldering two pins, but the audience of the magazine spans the gamut from absolute beginner to highly-qualified engineer. As a result, a very specific angle was chosen for the tutorial: introducing someone to the art of soldering, using the simple two-pin reset switch as a less daunting entry point than the significantly larger GPIO header soldering project found back in Issue 40. As always, the tutorial includes plenty of photography taken in my home studio. For much of the work I do, I’ve found my Nikon 40mm macro lens to be indispensable; the only time it typically leaves my camera is if I’m doing portraiture or low-light photography (in which case it’s replaced by an f1.8 50mm prime lens) or if I need wide-angle or telephoto shots (15-35mm and 70-300mm lenses respectively) during event coverage. 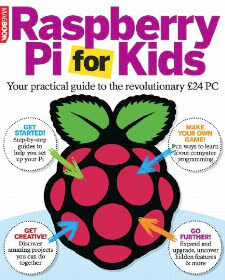 The tutorial, plus various exciting Pi-related things written by people other than myself, can be found gracing the shelves of supermarkets and newsagents throughout the country, or can be downloaded free of charge from the official website under a Creative Commons licence.